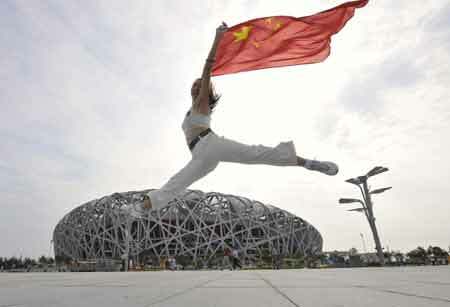 The Beijing Olympics have shown that China knows how to put on a show. But can China live up to the hype that it is the leading emerging market for private equity? China has changed beyond recognition since former premier Deng Xiaoping cautiously started to lift the “bamboo curtain” in the 1978. Many of the country’s 1.3 billion inhabitants have embraced capitalism with gusto and individual prosperity and consumerism have taken root, especially since the country joined the World Trade Organisation in 2001. The country’s burgeoning middle class – conservatively estimated to be more than 250 million strong – continues to demand greater access to western-style brands and services regardless of the credit crunch that has stunted growth in the west. The country’s still booming economy, coupled with its government’s apparent enthusiasm for private equity as an asset class, has enabled private equity investment to flourish in recent years. The fact that bank loans are near unobtainable by privately-owned businesses has further fuelled the sector’s growth. Investors are so dazzled by the Eldorado that China presents – many economists expect its economy will shrug off the global economic blues by posting growth of 7% to 8% in 2009 – they are prepared to tolerate higher risks than would be deemed acceptable in many other markets. Tantalised by the fact that average internal rates of return (IRR) were 67% in 2007, almost twice what they are in Europe, several of the world’s largest buyout houses have in recent weeks opened Beijing offices, after recruiting local big-hitters with bulging contacts books and strong governmental and regulatory connections to assist their cause. In early August, Blackstone officially opened its Beijing office. The US-based firm, which since last year has been part-owned by the Chinese sovereign wealth fund CIC, appointed Fu Shan, a former official at China’s National Development & Reform Commission, China’s top economic agency, as its chief representative. A few weeks earlier, London-based CVC Capital Partners opened a Beijing office, with Zhu Wei at the helm. Zhu formerly ran Goldman Sachs Gao Hua Securities, the Shanghai arm of Goldman Sachs. A recent survey by the international law firm Simmons & Simmons confirmed that M&A activity across the Asia Pacific region is set to increase in the coming year. And a separate survey by the specialist consultancy Epiven found that 88% of European LPs intend to boost allocations to China in the next five years. Fundraising of China-focused private equity funds is showing little sign of slowing down. According to the Beijing-based consultants Zero2IPO, 64 new private equity funds raised US$35.6bn in 2007 – a 60% rise by number of funds raised and a 151% rise by value on what was raised in 2006. And this figure looks set to be exceeded in the current year, given that ten new China-focused private equity funds raised US$12bn in the second quarter of 2008. “The combination of higher expected returns and a rapidly growing pool of talented private equity fund managers is continuing to drive institutional investors to emerging markets,” says Sarah Alexander, president of the Washington-based Emerging Market Private Equity Association. However for all the razzmatazz associated with the Olympics, political and regulatory risks do remain high in China. Each and every deal must by assessed by a range of different regulators, ministries and councils. Government regulations can change at the drop of a hat. Deals often get delayed or torpedoed because of turf wars between financial regulators or because local governments fail to implement state decrees. Also political corruption is rife and many Chinese companies lack financial transparency (with some keeping two sets of accounts, one for the benefit of the taxman and another for internal consumption). The country’s legal framework remains patchy. There are obviously real dangers to doing business in such a culture, especially when the language remains impenetrable even to those who have lived there for a while. However despite some early high-profile blunders by US buyout houses like Carlyle and Texas Pacific Group, it seems that western private equity players are learning fast. Even though it is ostensibly a cheerleader for the industry, industry players also need to be aware that the Chinese Communist Party (CCP) has a Janus-like approach towards the industry. Although the government is prepared to listen to western firms in its pursuit of best practice, it remains unenthusiastic about the sale of majority stakes in local businesses, especially if they are large, state-owned ones. Many sectors, including defence, media and energy, remain off-limits to western capitalists and the government has also recently been showing signs of wishing to tilt the playing field towards domestic, renmimbi-denominated private equity players. There is also the issue of the human rights, with many in the west outraged by abuses committed by the regime in Tibet, Darfur and in mainland China. However Andrew Ostrognai, a fund formation partner at law firm Debevoise & Plimpton in Hong Kong, points out that the way in which the CCP has lifted 300 million Chinese out of poverty with its economic reforms ought to be taken into account. “That has had a profoundly positive impact on human rights in the country.” He also points out that private equity investors – who often invest alongside multilateral investors such as the World Bank’s International Finance Corporation – are often showing a way forward in this area. In Rein’s view private equity in China turned a corner in 2003-04, when a number of private equity-backed companies floated successfully. These included the travel portal Ctrip.com, advertising firm Focus Media, search engine group Baidu, dairy China Mengniu and insurer Ping An. “That showed there was money to be made in China and tons of money came flooding back into the market,” says Rein. The danger however is that this wall of money coming in has had a palpable effect on corporate valuations. Wang Gongquang, a partner at one of China’s most successful indigenous private equity houses, CDH Investments, says venture capital deals became extremely competitive after 2006 because of the “trigger happy” approach of foreign funds which often lacked understanding or experience of the subtle nuances of the Chinese market. He says: “It meant the number of good deals that actually completed was very low.” Competition became particularly fierce in the technology, media and telecoms sector. Ruffle says: “The amount of private equity money that has come into the market has pushed private company valuations above listed company valuations.” The fact the benchmark Shanghai stock market index has tumbled from a peak of 6124.04 in October 2007 to around 2700 in early August has also clearly played a part in this state of affairs. This inversion has had a clear impact on private equity firms willingness to deploy their cash and to make exits. In the year to mid-May, private equity firms had deployed only US$512.4m (£259m) in China, against US$624.4m in the year-ago period, according to figures from Thomson Reuters. And exits too have become thinner on the ground in recent months. According to Zero2ipo they fell by 37.5% in the second quarter of 2008. Ruffle warns that investment opportunities, especially sizeable ones, are currently hard to find. “It has become such a seller’s market that a lot of PE funds are just sitting on cash at the moment,” he says. Generally speaking, China remains a growth capital rather than a leveraged buyout market. This is partly because banks are forbidden to issue loans to fund equity investment under the People’s Republic’s general regulations on bank loans. Rein believes that seeking to buy controlling stakes in state-owned enterprises is probably a mug’s game. However he disagrees with Forchielli’s views about buyouts of private SMEs, accusing the Italian of having “very 1990s” views on this topic. “That was true in the 1990s but time has moved on. There’s a lot more honesty in the Chinese market now.” Rein says it would be unimaginable for the top executives at companies like Focus Media, Baidu and Ctrip.com to set up similar businesses across the road after selling out to private equity backers. Another risk to doing business in China is that its economy could stall. Although growth has averaged between 9% and 11% for the best part of two decades, London-based Centre for Economic and Business Research believes it will slow to 7.4% in 2009. CEBR believes the slowdown will be prompted by a post-Olympic cut in public spending as the Chinese government seeks to rein in inflation – which currently stands at about 7.1%. Sam Baker, director of Asia research at Tran-National Research Corp, believes a sharper slowdown may be imminent. He points to unsold inventories of cars in China, which rose to a four-year high of 170,000 vehicles in July, a rise of some 50% rise on the start of 2008. “Rising inventories have always been a potentially important ‘canary in the coal mine’, indicating imminent macroeconomic vulnerabilities,” warns Baker. According to a recent World Bank study, China has 16 of the world’s 20 most polluted cities. This means that over the next half decade China is bound to become the world’s biggest market for clean-tech, not necessarily because of green ideology but simply out of pragmatism. He says that domestic Chinese businesses targeting this growing pool of newly affluent Chinese will be seeking to become increasingly competitive versus their global peers and to expand overseas. Given the absence of bank funding, many will be wanting Western investors with contacts and knowhow to help them achieve that.